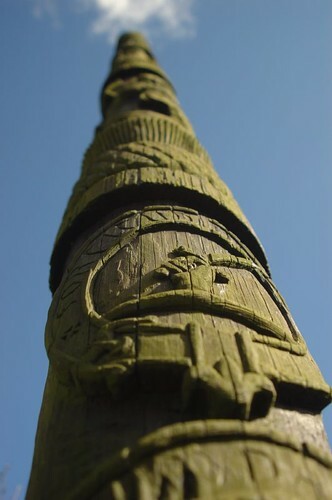 Totem Pole, Vane Fam, Loch Leven, originally uploaded by Wee Welchie. A totem pole next to the tunnel leading the the wetlands on Vane Farm RSPB nature reserve. ~ by Welchie on 16 April, 2008.